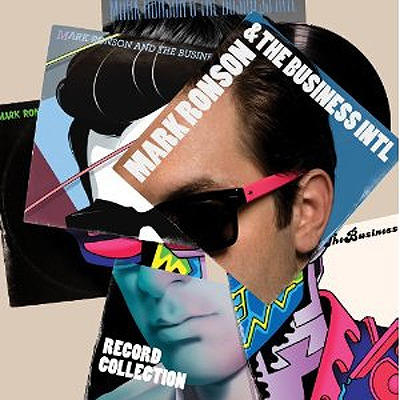 Better late than never, Ronson has decided to throw his hat into the arena of the already over-used and scavenged 80’s obsessed music scene. A period, which has persuaded him to pack away his six string for the retro synths and a pastel shade suit of a rose-tinted era, that only ever existed in our heads. The recent viral campaign video for ‘Circuit Breaker’ – the first single from the anticipated September released Record Collection album – even pastiches the original Legend Of Zelda, in all its 8-bit misty-eyed pixelated splendour. Coaxing the Brooklyn spectacle sporting ghetto- electro priestess of the moment, MDNR, and the veteran A Tribe Called Quest legend Q-Tip, into collaborating on this the second single to be released from the new LP, Ronson yet again makes acute choices in who to work with. ‘Bang, bang, bang’ is rich in sophisticated 80’s pastiche partly on the account of our producer’s obsession with Duran Duran’s dashing Nick Rhoades, whose choice of keyboards informs this pulsing disco two-step pomp. So we get the sounds of the Juno 6, Jupiter 8 and Prophet 5 pre-sets and arpeggiators bubbling away over tightened electronic drum pads, that can’t help but draw comparisons to Neon Neon. His guests put in some sterling if restrained effort, Q-Tip eloquently laying down some calculated resonate prose, whilst MDNR throws in menagerie feathered analogies and can’t help but sound like Santogold – that’s a complement by the way. The chorus changes to an almost hi-NRG stab at dub-step, infectious and full of a stirring ability to evoke images of a neo-geo backdrop, straight out of a fluorescent tube bedecked Miami club. Should be an unremitting success and become one of the summer’s dance floor anthems. Welcome back Mr.Ronson.